During the sixties and seventies, most artists and bands released an album annually, with some even releasing two, and very occasionally three albums each year. Many artists thought nothing of this, as this was how the music industry operated. Artists and bands were contractually obliged to release one or even two albums each calendar year. Usually, artists and bands were happy to oblige, as often careers were short, and they wanted to earn as much as possible before the bubble burst and the hits dried up. The savvy artists and bands within certain genres knew that they had a very limited shelf life and that it was unlike that they would enjoy any degree of longevity. This meant that it was important that they made hay while the sun was shining. Especially, sixties and seventies pop, soul glam rock and disco which could make stars of artists and bands, who within a few years, could be back where they started and penniless. To make matters worse, they had to face the indignity of being asked: “aren’t you that guy that sung…?”This happened to many artists who were chewed up and spat out by the music industry. Other artists and bands who realised that their career would be short-lived career, ensured that they made as much as possible and invested it wisely. They were realists and knew that the bubble would burst sooner, rather than later. This was the musical equivalent of Bitcoin, way before the words crypto currency were even invented. While many musicians enjoyed short-lived careers, some went on to enjoy long and sometimes, successful careers. Other artists and bands continue to make a living out of music and were happy to make a steady living each years. These bands continue to play live and are happy to release albums every few years. That is far from the case. Nowadays, very few bands releases an album each year, and sometimes, two or three years passes before an album is released. Partly, that is because bands are taking longer to record an album, and can spent two or three years recording their latest opus. The other reason for the lengthy gap between albums is that they’re no longer the cash cow they once were. This means that bands are reluctant to invest time and money recording a new album if they’re going to lose money. That isn’t always the case though. Other bands are so busy on various projects that they struggle to find the time to record a new album. 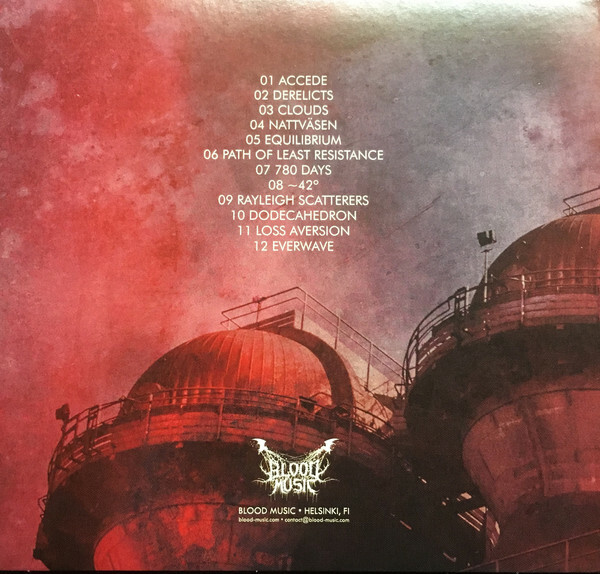 The two members of Carbon Based Lifeforms have certainly been busy over the last few years, and recently, released Derelicts on Blood Music, which is their first new album in six long years. It’s a veritable musical feast for fans of Swedish ambient duo, who met when they were fifteen. Johannes Hedberg and Daniel Segerstad (née Ringström), were both born in Göteborg, south-west Sweden in 1976, and met when they were fifteen. This was the start of a friendship and a musical partnership that is still going strong quarter of a century later. Initially, Johannes Hedberg and Daniel Segerstad were members of Notch which they formed in 1996 with their friend Mikael Lindqvist. Later in 1996, Johannes Hedberg and Daniel Segerstad decided to form Carbon Based Lifeforms as a side-project. Little did they know that this would be the start of a project that would still be going strong twenty-one years later. Although it was two years before Carbon Based Lifeforms released their debut album, their demo The Path is a tantalising taste of what was to come from the group. Two years later, Notch self-released their debut album The Path in 1998. That album was repackaged and rereleased later in 1998 by Carbon Based Lifeforms with a new track-listing as The Phat #000001/The Phat #000002. Intro, Rain and Hold were omitted with a new track Into The Canyon added on The Path which more than hinted at and showcased Carbon Based Lifeforms’ unique and inimitable sound. Four years later, and Carbon Based Lifeforms signed to the Lyon-based Ultimae Records in 2002. Later that year, many music fans were introduced to Carbon Based Lifeforms’ music was when their track Metrosat 4 featured on the Ultimae Records’ compilation Fahrenheit Project part 3. These music fans would be hearing much more of the Swedish ambient duo in the years to come. A year later, in 2003, Carbon Based Lifeforms returned with what they regard as their official debut album Hydroponic Garden. It showcased the Swedish ambient duo’s unique and carefully crafted sound which found favour with critics and music fans. Following the release of Hydroponic Garden, Carbon Based Lifeforms’ music featured on a number of compilations released by Ultimae Records. Soon, their popularity would spread and other labels would be licensing tracks by Carbon Based Lifeforms. Before that, Carbon Based Lifeforms returned with their much-anticipated sophomore album World Of Sleepers’ in 2006. It literally picked up where Hydroponic Garden left off as Johannes Hedberg and Daniel Segerstad continued to hone their trademark ambient sound. World Of Sleepers was well received by critics, and Carbon Based Lifeforms were well on their way to becoming one of the finest purveyors of ‘21st’ Century ambient music. After the released of World Of Sleepers in 2006, Carbon Based Lifeforms’ music became the music de jour amongst compilers of ambient, chill out and psy-trance. Tracks by Carbon Based Lifeforms found their way on to compilations by DadA Music, Yellow Sunshine Explosion, Killing Music, Interchill Records, Spiral Trax and RMG Records between 2006 and 2009. This introduced Carbon Based Lifeforms’ music to a much wider audience which was perfect timing. In 2009, Carbon Based Lifeforms returned with their first album in three years, Interloper. Just like previous albums, Carbon Based Lifeforms had taken their time recording Interloper, and were happy to spend days, weeks and months perfecting tracks. That had been the case on Interloper, with Carbon Based Lifeforms creating building blocks of sounds which they honed and tweaked as they sought sonic perfection. Many critics and music fans thought that Interloper was Carbon Based Lifeforms’ finest hour. By then, Carbon Based Lifeforms had been together thirteen years, and were like a musical yin and yang who together, sculpted and honed ethereal, dreamy, lysergic and otherworldly soundscapes. Carbon Based Lifeforms also collaborated with other artists, and were familiar faces on the festival scene. They had come a long way since releasing Notch as twenty year olds. A reminder of how far Carbon Based Lifeforms had come was when they performed at Cosmonova, the IMAX cinema within Stockholm’s Museum of Natural History in 2009. That night, Carbon Based Lifeforms’ music provided the soundtrack to nature-inspired imagery from across the world. There was also a tour of the solar system that was filmed from the International Space Station. Carbon Based Lifeforms’ music was the perfect backdrop what was one of the hottest tickets in town during 2009. Two years later, Carbon Based Lifeforms followed in the footsteps of Cluster, by releasing an hour-long track, VLA. This was first of a number of projects that they were involved in over the next few years. The following year, 2012, was an important year for Carbon Based Lifeforms, who released a new studio album, Twentythree. It was another album of Carbon Based Lifeforms’ unique and carefully sculpted ambient soundscapes. Just like previous albums, critics and music fans were won over by what was their last studio album for five years. After the release of Twentythree, Carbon Based Lifeforms were commissioned to o write the soundtrack to the independently produced film, The Mansion. A year later, in 2013, the resulting Refuge-Original Motion Picture Soundtrack was released and found favour amongst critics. Carbon Based Lifeforms venture into the world of soundtracks had been a successful one, and one they were keen to repeat. In 2015, Carbon Based Lifeforms changed record labels, and signed with Blood Music. 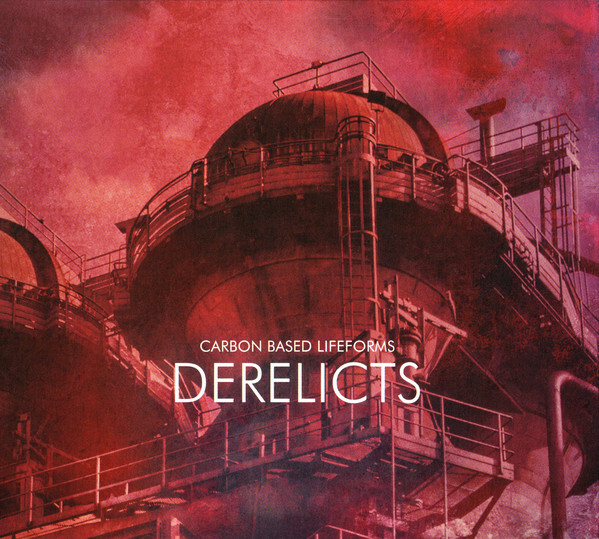 This was the start of a new chapter in Carbon Based Lifeforms’ career, and two years later they recently returned with their new album Derelicts on Blood Music. It’s another carefully crafted album from Swedish ambient duo. Derelicts however, isn’t just another ambient album from Carbon Based Lifeforms. Far from it; it’s an album of lovingly honed ambient psychedelia recorded by Carbon Based Lifeforms in their well equipped studio. Amongst the many instruments in Carbon Based Lifeforms’ studio is an array of classic and modern synths which Carbon Based Lifeforms put to good use on the twelve tracks on Derelicts. This is only part of their musical arsenal, and just like previous albums, Carbon Based Lifeforms use field recordings on 780 days and Everwave. Carbon Based Lifeforms in true pioneering spirit also transform everyday items. Suddenly, a water pump, dishwasher and even a baby’s teething toy become makeshift instruments and play their part in Carbon Based Lifeforms’ unique and inimitable sound on Derelicts. The final piece of the jigsaw are Ester Nannmark’s lyrics and vocals on Derelicts, ~42°, Rayleigh Scatterers and Loss Aversion. Ester Nannmar more than plays her part in the sound and success of Derelicts. Quite simply, Derelicts in a captivating and enchanting album and is a career defining album from Carbon Based Lifeforms where they create innovative genre-melting music. During the twelve tracks, Carbon Based Lifeforms combine elements of ambient with avant-garde, Berlin School, electronica, experimental and musique concrète. The result is carefully crafted music that the two members that has been honed by Carbon Based Lifeforms as they go in search of sonic perfection. That is the case throughout Derelicts. On the album opener Accede, the minimalist and mesmeric arrangement gradually unfolds as crystalline and shimmering synths combine with a pulsating beat. This set the bar high for the rest of Derelicts, as Carbon Based Lifeforms continue their pursuit of sonic perfection. Ester Nannmar makes her debut on Derelicts, where her futuristic vocal combines with ethereal and elegiac synths on this futuristic and otherworldly cinematic soundscape. Quite different is Clouds, where the dreamy, lysergic arrangement floats along and is akin to aural Prozac as suddenly, the world seems a better place. Lysergic describes Nattväsen, where the tempo drops, and soon, the ethereal and minimalist soundscape seems to be drawing inspiration from Alice In Wonderland as Carbon Based Lifeforms combine dialogue with glistening synths to create their unique brand of ambient psychedelia. That is a perfect description of the dreamy, hypnotic Equilibrium, where ethereal synths are combined with dialogue to create a futuristic and trippy soundscape. Cinematic and sometimes dramatic and urgent describes Path Of Least Resistance which sounds as if it’s been inspired by a bad acid trip. Washes of the glistening synths and field recordings are combined on 780 Days which meanders along for nearly three minutes before the tempo rises, and Carbon Based Lifeforms deploy an array of synths and drum machine as a cinematic sound takes shape. Later, the calm descends and the ethereal beauty returns on track that shows that Carbon Based Lifeforms are perfectly suited to writing soundtracks. ~42˚ glides along, with sci-fi sound part of this futuristic sounding soundscape. It sounds as if it belongs on the soundtrack to a sci-fi movie. One of the most beautiful and relaxing tracks on Derelicts is Rayleigh Scatterers. It has a meditative quality and encourages the listener to reflect and ruminate as suddenly, the world seems a better place. Futuristic and otherworldly describes the cinematic sounding Dodecahedron. It’s another track that wouldn’t sound out-of-place on a sci-fi soundtrack. So does Loss Aversion which picks up where Dodecahedron as Carbon Based Lifeforms continue to paint pictures with their music. Closing Derelicts is Everwave that veers between ethereal and elegiac to otherworldly and lysergic. Just like many tracks on Derelicts, Everwave has a cinematic sound that is sure to set the listener’s imagination racing. Derelicts is Carbon Based Lifeforms first studio album for five years, and is without doubt, a career-defining album of ambitious and innovative genre-melting music from the Göteborg-based ambient psychedelia pioneers. Much of the music on Derelicts, which is a carefully crafted album of ambient psychedelia, is cinematic, and while some tracks are cerebral, ruminative and thoughtful while others are futuristic and otherworldly. Other tracks are variously dreamy, elegiac and ethereal, while others are dramatic and urgent. Some of the other tracks on Derelicts are edgy and trippy, but like the rest of the album are also innovative and captivating. Sometimes, Carbon Based Lifeforms throw a curveball, and the soundscapes head in unexpected directions, before normality is restored on what’s their finest hour. Carbon Based Lifeforms’ recently released album of ambient psychedelia Derelicts, is a career-defining album from Johannes Hedberg and Daniel Segerstad who take the listener on a lysergic magical mystery tour which features surprises aplenty in-store for the unsuspecting listener. ← MICHAEL COSMIC PEACE IN THE WORLD AND PHILL MUSRA GROUP CREATOR SPACES.